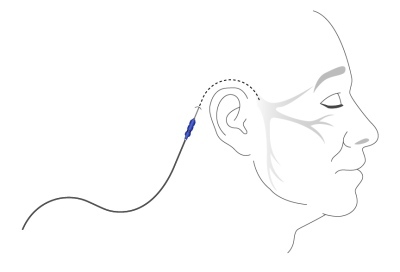 PENS is a minimally invasive diagnostic peripheral nerve stimulation therapy. It is intended to enable the physician to determine whether a patient is likely to benefit from a permanently implanted stimulation device, although for some patients it may also provide ongoing pain management, thereby avoiding the need for more invasive therapies, with their attendant risks. There are also patients for whom an implanted device is not appropriate and in these cases PENS therapy offers an alternative where other less invasive or pharmacological modalities have failed. 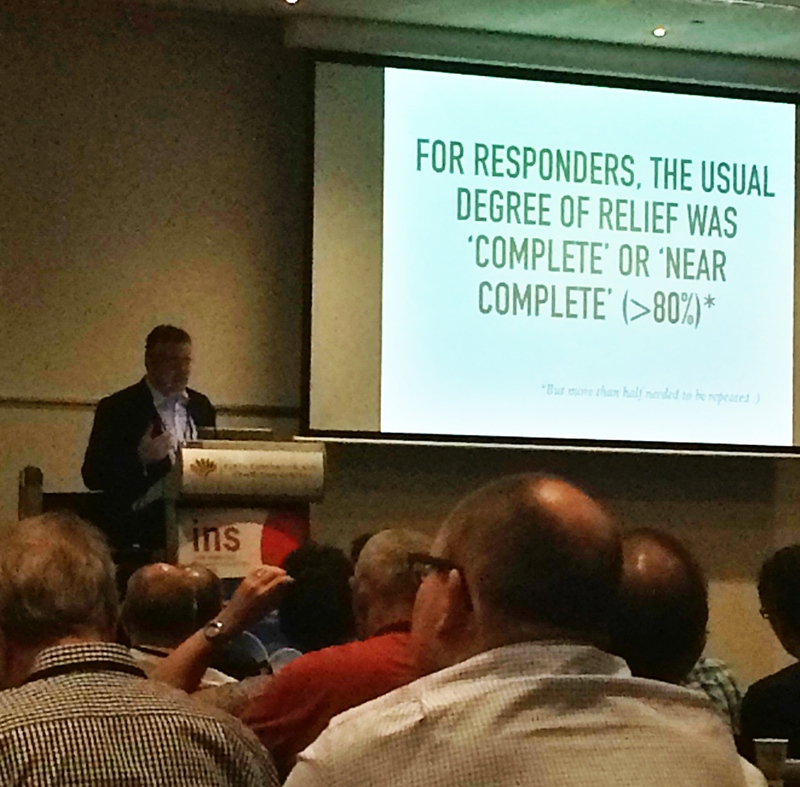 Dr Nick Christellis "Our first case was performed last week at the Epworth Cliveden Hospital in Melbourne. 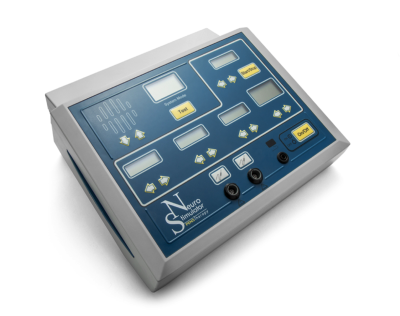 Electrical nerve stimulation (PENS), is a new therapy for chronic pain sufferers that uses a low voltage electrical current delivered to the subcutaneous tissue or peripheral nerves to relieve chronic refractory neuropathic pain. In effect, it is a form of neurostimulation or neuromodultation that damping down overactive (sensitized) nerves that are causing pain. PENS therapy does not destroy any nerves. It just makes them less sensitive to pain. A low voltage electrical current is delivered via a specially designed needle to a layer of tissue just below the surface of the skin close to the specific nerve, or to the nerve endings situated in an area that is painful. 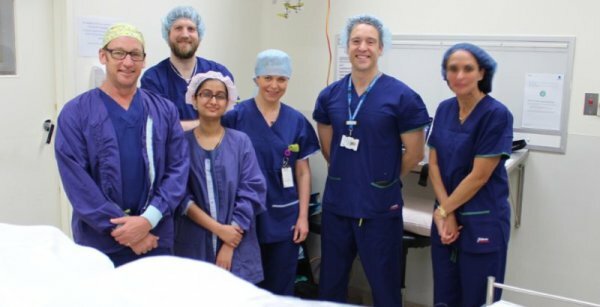 This nerve stimulation is one of the interventional methods we use to reduce nerve sensitivity. The needle is placed with a small amount of local anaesthetic on the skin. The needle is connected to a specialised machine that is then turned on and delivers the electrical current. This is done for about 30 minutes, then the machine is turned off and the needle removed. Patients can go home a short time after this. PENS is an innovative way to manage some forms of neuropathic (nerve) pain like headaches, occipital neuralgia, facial pains or post surgical pain like pain after hernia surgery or other surgeries. The beneficial effects that patient may experience include: some patients will have total pain relief, others experience prolonged pain relief for 3 months or more and others get relief for shorter periods of time. Some may not get any benefit at all from the procedure. This is considered a low risk procedure, with very few side effects, which may include some bruising and tenderness at the probe insertion site. There is a very small risk of infection and nerve damage."